No matter how successful you are, I want you to remember that you’ll presumably never be as famous as a cat that rose to fame via Internet meme. Grumpy Cat, in internet meme years, should have reached the point of “used only ironically” status. Instead, a pair of New York Times bestsellers, a Lifetime Original Christmas movie, and appearances everywhere from SXSW to Good Morning America ensure the continued relevancy of “Tardar Sauce” (Grumpy Cat’s birth name). 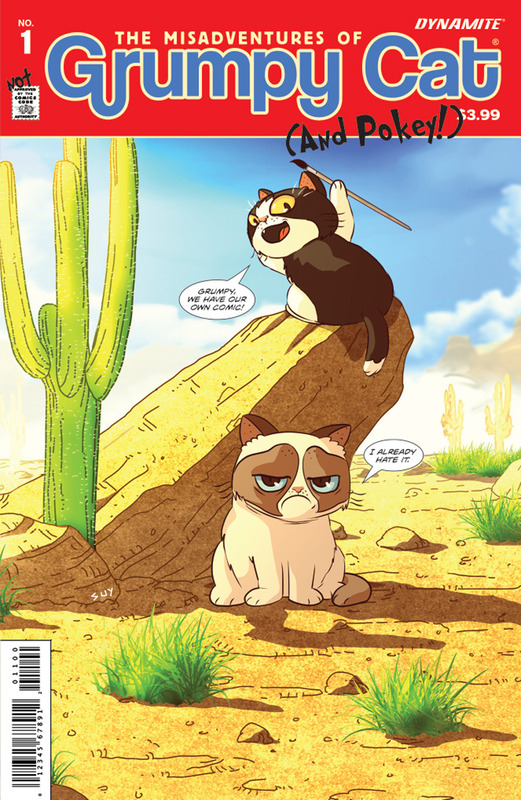 Has Grumpy Cat hysteria gone too far? Maybe. In 2013 Grumpy Cat attended SXSW Interactive with Friskies (the cat food) picking up the tab for all travel expenses through a sponsorship agreement. CNN, CBS and CNET all dubbed Grumpy Cat the “biggest star” of SXSW that year meaning she beat out Elon Musk, Al Gore and Neil Gaiman for the honor. She even came back for a second helping of Friskies at this year’s event. The release of the comic book series is set to coincide with ComicCon, and a hardcover graphic novel later in the year. 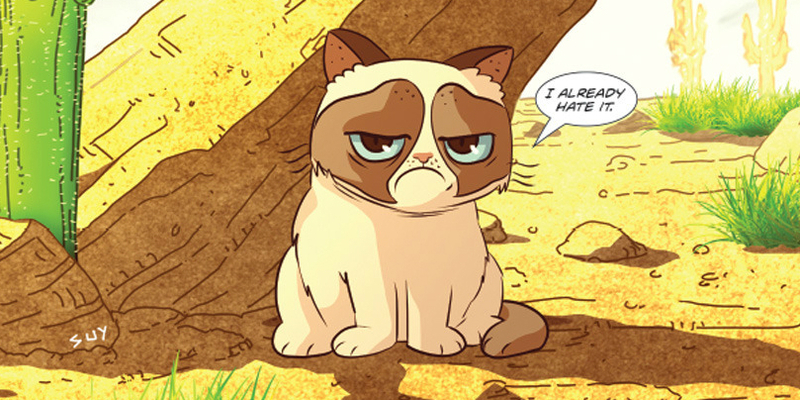 This summer we’ll also see Grumpy Cat appear in a series of daily Web comics. Just when you thought you were doing something with your life, a cat comes along and makes you reevaluate everything.